Gaming peripheral maker Razer is not know for its understated designs. Its keyboards in particular are generally bulky and flashy; some might say a little gaudy. The Blackwidow Lite is none of those things. Not that there’s anything wrong with big and flashy—some of my favorite Razer gear is pink, after all. But sometimes a typist just wants something simple to type on. Something that doesn’t look like a rave threw up on their desk. The Blackwidow Lite is that sort of keyboard. Makes me wish my trackball color could change. And also makes me wish I had dusted my desk. 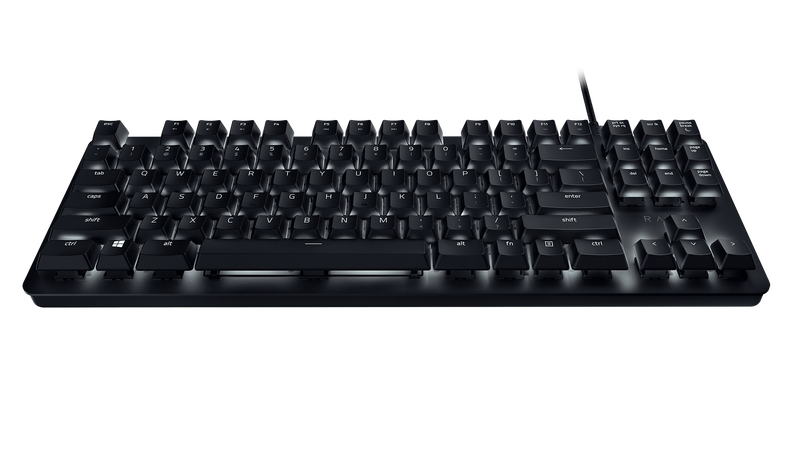 The Razer Blackwidow Lite is now available at Razer’s online shop for $89.99, which is also a very un-Razer mechanical keyboard price. Hopefully they will release it in pink soon, so I can fully commit.